Hello, my bookish peeps. I don't read a lot of YA (okay, I do read some YA but I don't review a lot of YA anymore) or Middle Grade reads, but when I was contacted about The Nocturnals series by Tracey Hecht/illustrated by Kate Liebman and then read the description of each book to my twin diva nieces [it's genetic, they got it from their diva aunt and I got it from my diva mother and aunts 😉], they got almost as excited as I did. Needless to say, I jumped at the chance to feature this series on my blog. Sadly, my nieces didn't have an opportunity this week to review the books (I've been incapacitated for much of the week due to severe migraine headaches), but diva J. is "very, very excited" to read all of the books and diva A. has "really enjoyed" the animated shorts. I look forward to reading this series along with my divas. I hope your divas and divos will enjoy this series and if you think they might, scroll down and enter the giveaway for book three, The Fallen Star. The Nocturnals features three unlikely friends: Dawn, a serious fox, Tobin, a sweet pangolin and Bismark, the loud-mouthed, pint-sized sugar glider. The stories all play out in their nighttime world with teamwork, friendship, and humor in every adventure. Read an excerpt from The Fallen Star here. Please visit www.nocturnalsworld.com to find animated short videos, printable activities, educational materials, and sign up to join the Nocturnal Brigade! With the publication of The Fallen Star, Tracey Hecht will continue the nationwide Nocturnals' Read Aloud Writing Program that was created in partnership with The New York Public Library (NYPL) and expanded professionally through an American Association of School Librarians' Webinar. At the American Library Association Midwinter meeting, Fabled Films Press also launched a "Read Aloud Not Alone" nationwide campaign for middle graders and has created a Nocturnals Read Aloud Blog to provide research that supports the benefits of reading aloud and inspiration through recorded audio excerpts. Tracey Hecht is the creative director of Fabled Films. She is a writer and entrepreneur who has written, directed and produced for film. 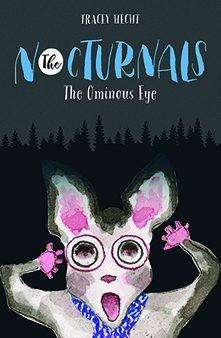 Her first middle-grade series, The Nocturnals was launched in 2016 with The Mysterious Abductions and The Ominous Eye. 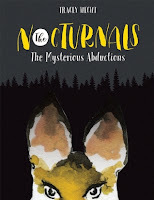 The American Bookselling Association chose The Mysterious Abductions as a Kids' Indie Next List pick. Her third book, The Fallen Star was released in May 2017. In partnership with the New York Public Library, Tracey Hecht has created a Nocturnals Read Aloud Writing program for middle graders that has expanded nationwide. When Tracey isn't writing, she can be found hiking, reading or spending time with her family. Tracey currently splits her time between New York City and Oquossoc, Maine with her husband, four children. 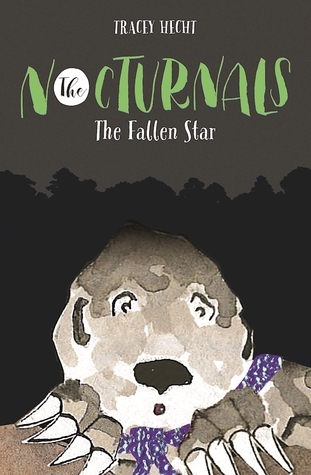 Enter to win a print copy of The Fallen Star (The Nocturnals #3) by Tracey Hecht courtesy of Fabled Films Press via Saichek Publicity (US residents only, sorry). Please use the Rafflecopter form below to enter. This giveaway ends at 11:59 PM ET on Thursday, 06/22/2017 and the winner will be announced after 9:00 AM ET on Friday, 06/23/2017.